Fashion Pineapple And Pink Air Balloon. Bright Summer Color, Accessories. 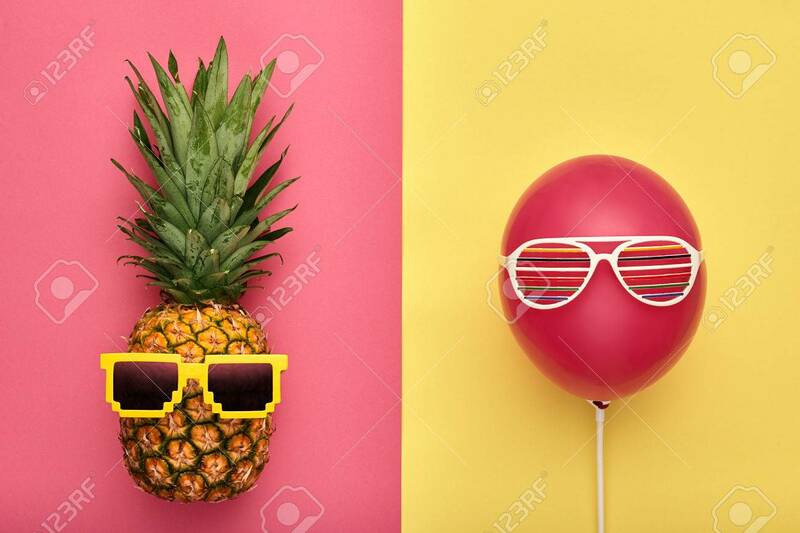 Tropical Hipster Pineapple With Sunglasses. Creative Art Concept. Minimal Style. Summer Party Background. Fun Royalty Free Stok Fotoğraf, Resimler, Görseller Ve Stok Fotoğrafçılık. Image 80894110.